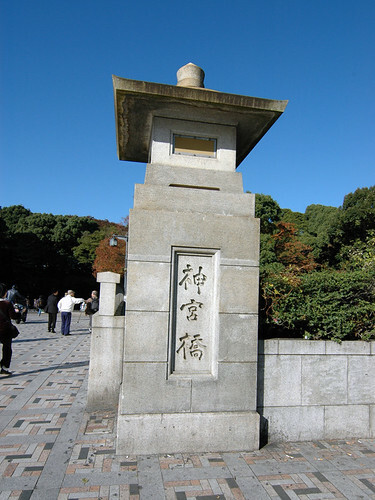 A beautiful Sunday morning with lots of traditional weddings going on at the Meiji Jingu Shrine 明治神宮. Coincides with a crysanthemum flower show and the 7-5-3 children festival. Lots to shoot! 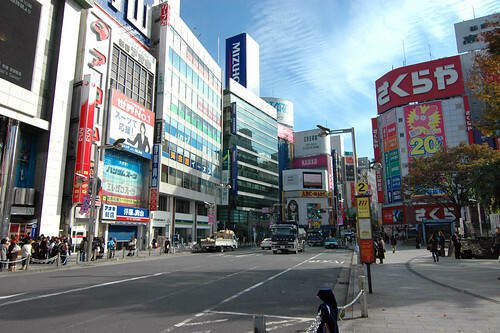 A bridge co-joining Harajuku Station to the entrance of Meiji Jingu Shrine. A long and pebbly walkway. Well… its more than a walkway actually. Probably wide enough for several horse carriages to move through at the same time. But this is now strictly used by walking pedestrians only. 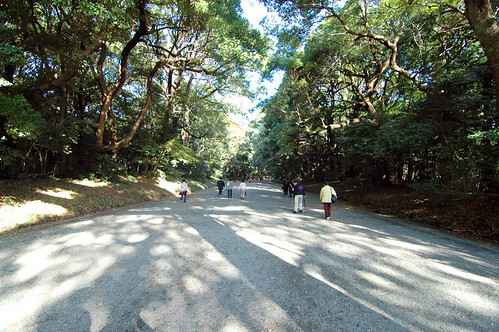 Vehicles into the Meiji Jingu vicinity take another pathway. 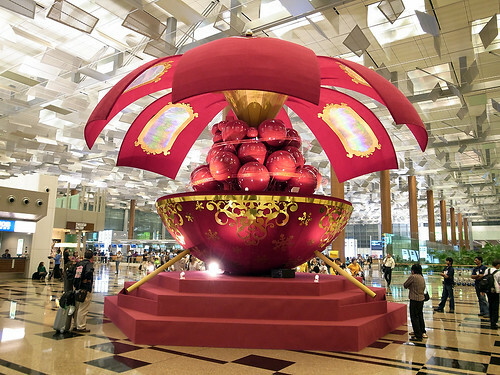 Massive Christmas Deco at T3 Changi Airport. Its a ball-shaped dome which opens up like an umbrella periodically and plays music. 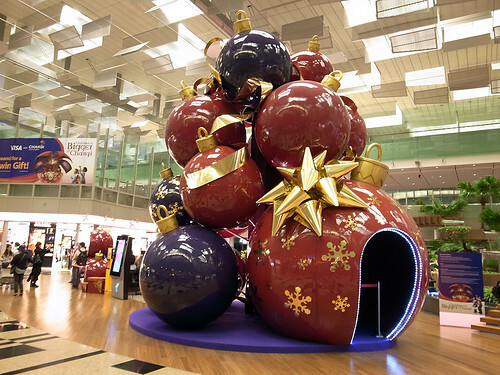 Another deco for xmas in the transit area. Lotsa tourists stop by on the way to their boarding gates for some quick shots. 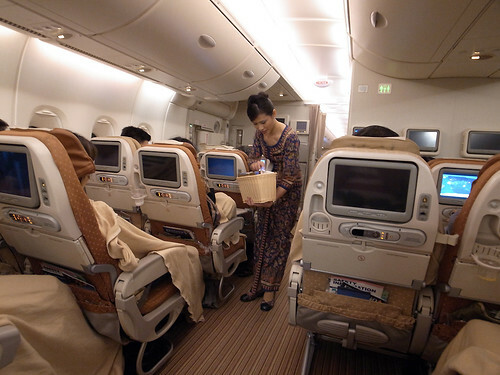 Stewardess serving refreshments on SQ638 to Narita. Its a overnight flight. So no dinner served as it was 2345h when we boarded. Our first A380 experience! Chose a seat which doesn’t have a seat in front of it in exchange for more legroom turned out to be a mistake. With no foot rest extension from the seat in front (cos there isn’t a seat in front! ), I kept slipping downwards while sleeping. And the meal table is wobbly. The screen is stowed away on the left of the seat. But I could do with the extra legroom. Oh well… you win some, you lose some.